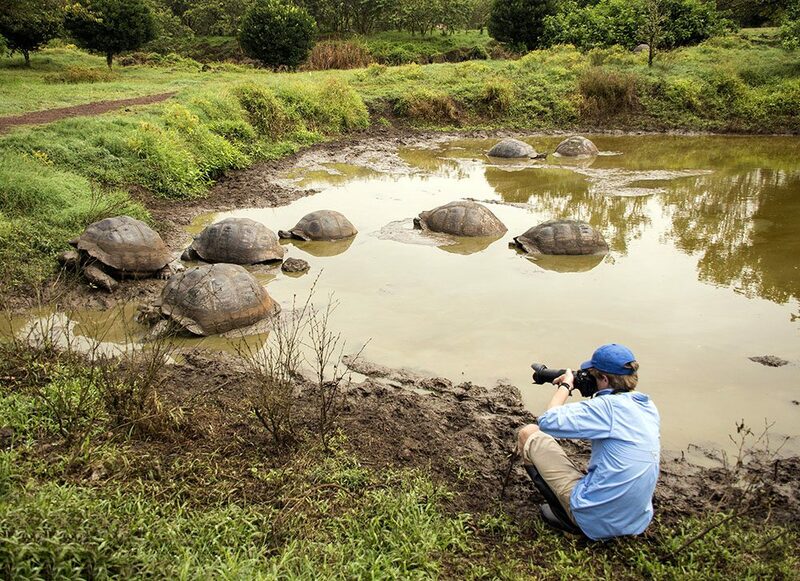 The following photography guide is reproduced with kind permission from the authors of the Collins Traveller’s Guide: Wildlife of Galapagos. For the most part, the secret to successful photography lies in the ability to master and control several major factors – those of exposure, lighting, depth of field, definition and composition. 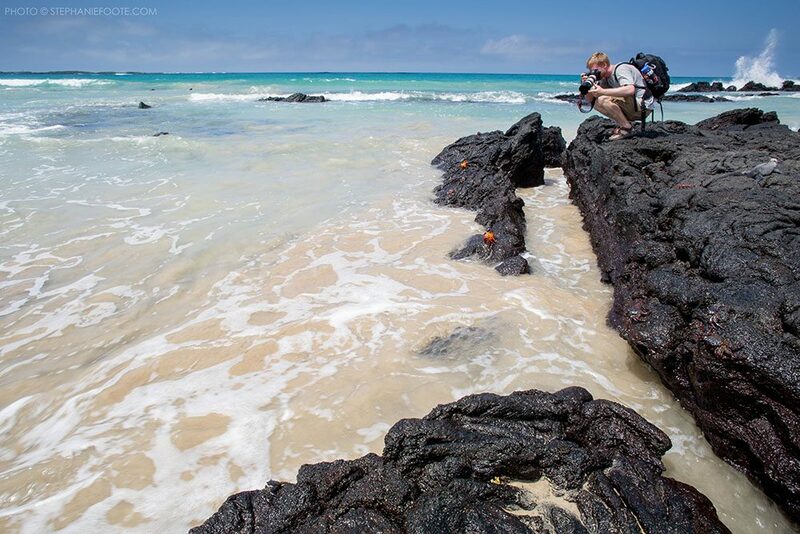 Here we detail some hints and tips that will help you with photography in Galapagos. Make sure you have adequate insurance cover for all your equipment. Ensure that your policy fully covers equipment for loss or damage and travel in South America. Keep a checklist of all the equipment you are taking and remember most cameras and lenses have serial numbers, and these will be required should you have to make a claim. If any of your equipment is stolen you should report it to the local police and obtain a statement confirming the report of the theft, as some insurance companies will not settle any claim without such confirmation. You should ensure that the device’s internal memory is sufficient to hold enough images. 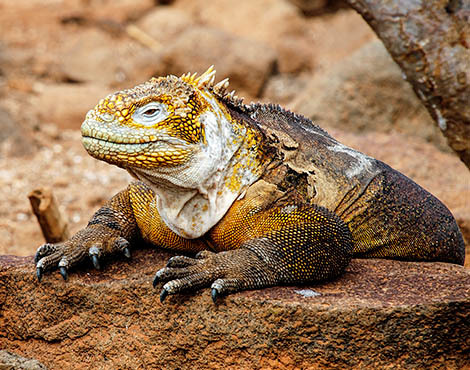 If you don’t have a laptop with you, the opportunity to transfer images to your cloud account will be limited as internet and WiFi service is confined to Galapagos’ three main towns. As most digital cameras use rechargeable batteries, don’t forget to pack chargers. Most boats and hotels use the US system of a two pin flat plug and are 110V. Another alternative would be to bring a solar charger. Remember to have enough spare rechargeable batteries to allow for those days when mains electricity may not be available. If you are using disposable batteries, please don’t dump the old ones in Galapagos, take them home. 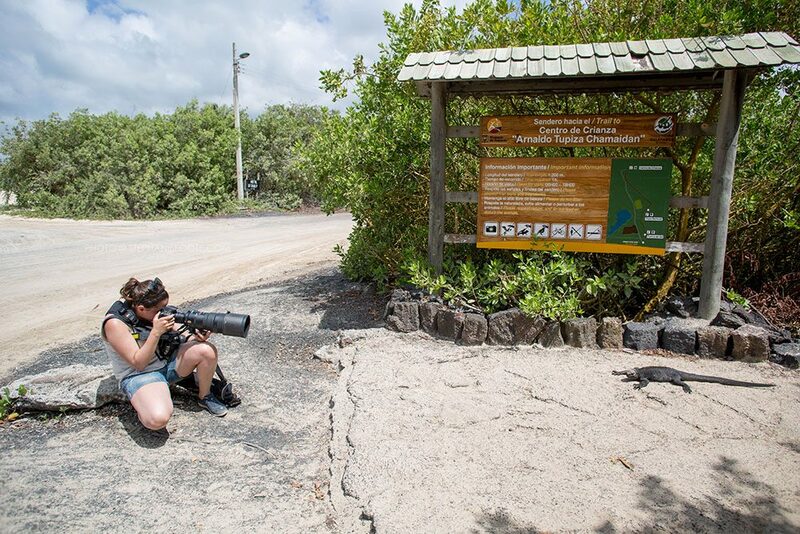 Professional photographers need to buy a permit from Galapagos National Park so, if you are using professional-looking equipment, be prepared to explain yourself to officials. 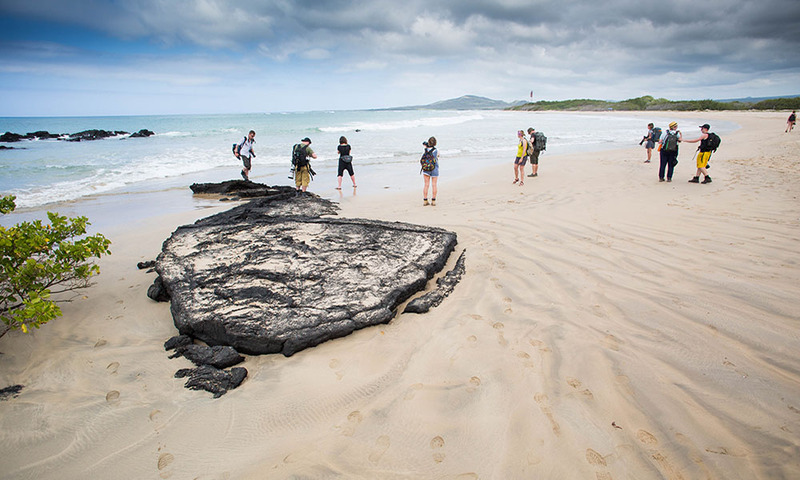 For more details visit www.galapagos.gob.ec. Unless you have a steady hand, the commonest cause of picture failure is lack of definition as a result of camera shake. The most effective way of over coming this is by using a good tripod; there are many light, yet sturdy models on the market, which will fit comfortably into the average suitcase. The delicate volcanic rock is easily damaged by the tripod legs which have metal spikes, so the use of rubber feet is preferable. 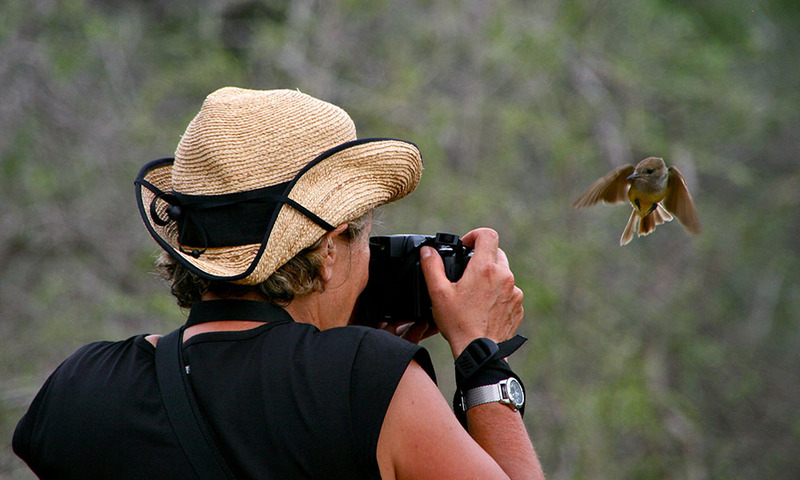 The Galapagos National Park have a ‘no flash’ rule. With the light generally being very good and being able to push the ISO setting, it is easy to manage without flash. If you have a camera with a built-in flash please ensure this is switched off. 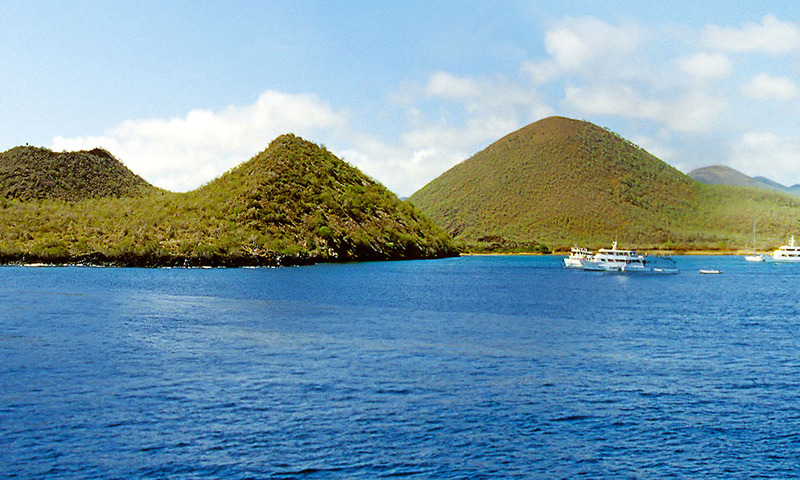 The Galapagos Islands are on the Equator where the sun will rise quickly to a point directly overhead. This top lighting effect is not ideal for photographing wildlife or landscapes; low side lighting at sunrise and again in the later afternoon is better for showing detail in wildlife subjects, and creates more interesting shadows in landscapes. 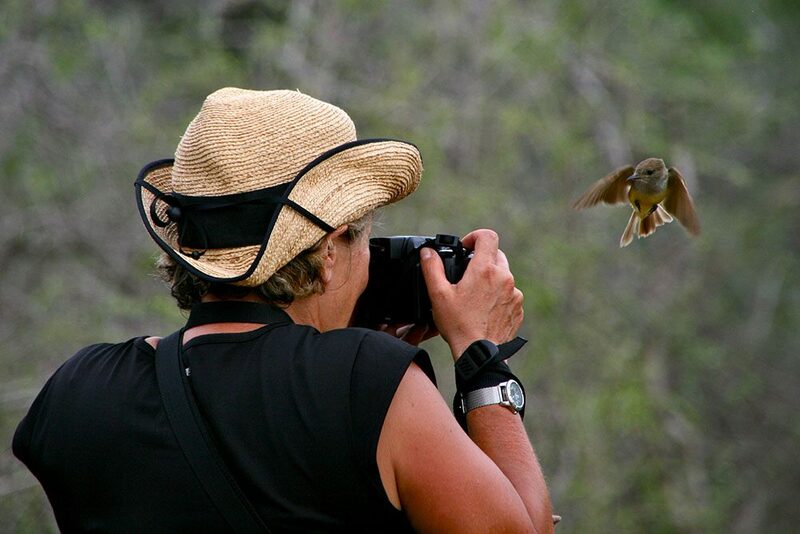 The identification of Galapagos species often depends upon which island the subject was photographed. If you have set the date and time correctly on your camera this information should be embedded in the background information stored on each image. Then, by keeping details notes of what you saw and which island you were on each day, you will then be able to sort out and identify species much more easily. 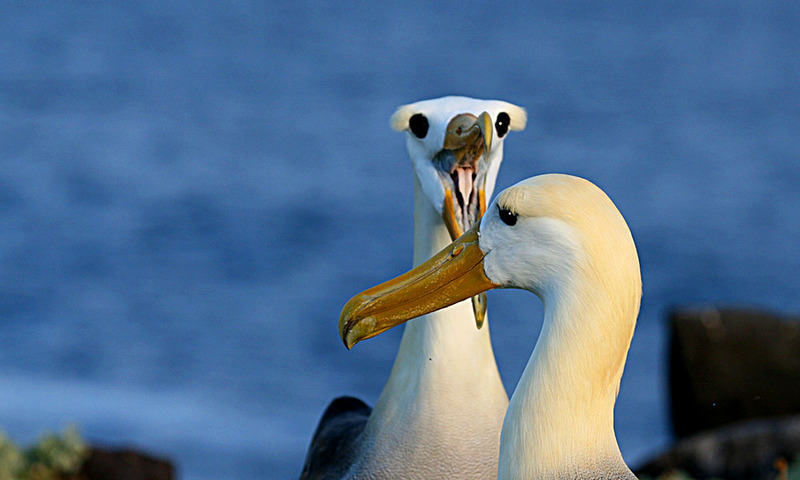 Don’t forget to enter our Galapagos Photography Competition!